Hydraulic fracturing (or « fracking ») technology has been widely used to maximize oil-and-gas production in the Gulf of Mexico in recent years, and the government allows offshore drillers to dump fracking chemicals mixed with wastewater directly into the Gulf, according to documents released to Truthout and the Center for Biological Diversity under the Freedom of Information Act (FOIA). During this time regulators issued more than 300 « categorical exclusions » to exempt drilling plans that included fracking from complex environmental reviews. The use of categorical exclusions has been under heavy scrutiny since 2010, when the media learned that BP’s drilling plan for the Deepwater Horizon rig was categorically excluded from review in the months before a deadly explosion on the platform caused the worst oil spill in United States history. Federal records show that regulators approved several drilling plans involving fracking in the Gulf of Mexico even as the Deepwater Horizon disaster unfolded and oil from a broken well spewed into the Gulf for weeks on end. Hydraulic fracturing involves pumping water, chemicals and sand underground or under the seafloor at high pressure to break up rock and release oil and gas. Offshore fracking techniques are often used in the Gulf to reduce the amount of sand and grit in produced oil and improve its flow path out of the well, according to regulatory documents. Sometimes, acids such as hydrochloric and hydrofluoric acid are also used to dissolve undersea rock formations and increase the flow of raw fossil fuels. Hydrofluoric acid is one of the most dangerous chemicals used in any industrial process and can cause severe burns on human skin and form a poisonous vapor cloud when heated, according to the Environmental Defense Center, which has studied offshore acid treatments. Regulators point out that offshore fracking and « acidizing » are much smaller in scale than the unconventional onshore fracking techniques that sparked a controversial oil-and-gas boom across the US. However, environmentalists are concerned about the offshore operations’ potential for accidents, and about the fracking chemicals that are routinely dumped overboard along with wastewater and other fluids. The release of documents to the Center for Biological Diversity and Truthout marks the first time that details on the scope of offshore fracking in the Gulf have been made available to the public. In the past, officials at the Bureau of Safety and Environmental Enforcement (BSEE), one of two federal agencies that oversee offshore drilling, told Truthout and other investigators that the agency does not specifically keep track of fracking in the Gulf. The Center sued BSEE for failing to respond to FOIA requests, and last year BSEE agreed to compile and release the information. Environmentalists have been sparring with BSEE and its sister agency, the Bureau of Ocean and Energy Management (BOEM), over offshore fracking since a 2013 Truthout investigation revealed that the technology had been in use off the coast of California. The agencies claim offshore fracking has a good safety record and little impact on the environment, but environmentalists say there is not enough research and data to back that claim up. 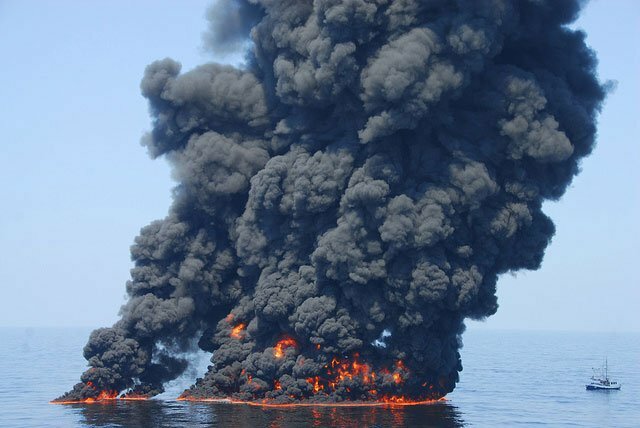 The Obama administration set up both agencies in the aftermath of the BP spill to improve oversight of offshore drilling and put an end to cozy relationships between federal regulators and the industry. BSEE was put in charge of enforcing environmental standards, but a recent report by the Government Accountability Office found that the agency has since made « limited progress in enhancing its enforcement capabilities » and failed to develop guidelines for basic functions such has handing out warnings and fines to offshore drillers. In March, 30 scientists from across California sent a letter to BSEE and BOEM urging regulators to extend the moratorium, pointing to independent analysis that found « significant data gaps » on fracking in the Pacific. Even the agencies’ own analysis admits that there is a « lack of toxicity data » on chemicals used in the fracking process, but regulators concluded that the chemicals don’t cause much harm because they are diluted by wastewater and the ocean. Internal agency communications released under FOIA show that regulators have been actively studying offshore fracking since the practice came under scrutiny by activists and the media. For example, a series of emails from 2014 show BSEE and BOEM officials discussing the need to update research on offshore fracking chemicals. They also discuss the Blue Tarpon, a large ship or « stimulation vessel » that pumps fracking and other fluids into oil and gas wells in the Gulf. Regulators are now studying fracking chemicals and have dedicated an increasing amount of space to offshore fracking in recent environmental statements required by federal law, indicating that their understanding of the practice is growing. These documents, which clear the way for continued drilling and fracking in the Gulf of Mexico and the Pacific, provide a glimpse of what the government’s oversight of fracking actually looks like. Every year, fossil fuel companies are allowed to dump into the Gulf of Mexico billions of gallons of the seawater, brine and chemicals that flow back from oil and gas wells. These include fracking chemicals and naturally occurring radioactive substances from deep under the seafloor. The offshore oil and gas industry dumped 20 billion gallons of this « produced water » into the Gulf in 2014 alone, and nearly half of it was dumped in waters less than 60 meters deep, according federal environmental statements. In 2010, nearly 23 billion gallons went overboard, mostly into shallower waters. The Environmental Protection Agency (EPA) requires that these fluids be treated to meet certain criteria before being dumped from offshore platforms. Most of the oil and diesel must be removed from the wastewater, and operators are required to visually inspect the surface of the Gulf and take note if a sheen appears. There are also toxicity limits, and operators must conduct toxicity testing either quarterly or annually, depending on how much wastewater goes overboard. Chemicals used in the offshore fracking process, which are similar or even identical to those used onshore, can be dumped overboard as long as they are « commingled » with the produced water and not included on a federal list of « priority » pollutants, according to the EPA’s wastewater discharge permit. Operators are not required to report the discharge of fracking chemicals when they are diluted in produced water, so it’s unclear how much is dumped into the Gulf on a regular basis. It’s also unclear exactly what the chemicals are. Federal regulators refer to a 2001 study that lists chemicals commonly used in offshore fracking and well stimulation, including corrosive acids, biocides, « foamers » and « defoamers, » surfactants and corrosion inhibitors. At least nine of these chemical products contain hazardous substances such as hydrofluoric acid and ammonium chloride. However, the industry has made major advances since 2001, and federal regulators admit that this list needs to be updated. Last year, BOEM launched a $400,000 study to update the list and compile a « descriptive inventory » of all the chemicals used during offshore drilling in the Gulf. « That’s horrifying, especially considering that commonly used fracking chemicals include some of those that are most the toxic in the entire world with respect to aquatic life, » said Monsell, who added that the EPA’s discharge permit should be updated to at least require operators to report the chemicals they dump overboard, a policy currently in place in the Pacific. Public affairs officers for BOEM and BSEE in the Gulf region did not respond to requests for comment from Truthout. BOEM plans to use this study to analyze the risk that offshore fracking chemicals would pose to the environment in the event of a spill, and to evaluate how the chemicals may be impacting water, sediment and wildlife in the Gulf. While this appears to be a step toward more robust regulation, environmentalists say that the agency’s scientific record should have been updated years ago. Meanwhile, offshore fracking will continue in the Gulf of Mexico and elsewhere as regulators play catch-up with their chemistry. Monsell and other environmentalists are currently turning their attention to the Arctic waters of Alaska, where they say that a Texas company’s proposal to extend a large « multi-stage frack » under the Cook Inlet is threatening endangered beluga whales.